Yoo-hoo. It’s summer again, and in my household, this is a time for eating fruits and drinking their juices. On that note, I present to you my mango juice. It is one of the juices we have enjoyed the past couple of weeks, and I can’t wait to share how delightful it is with you. We love snacking on mangoes because they are so sweet and delicious. Furthermore, they are full of vitamins and minerals and have an outstanding amount of antioxidants and fiber. Most noteworthy is the Vitamin B6 which is essential for maintaining and improving brain health. Now, there are a million and one ways of enjoying mangoes, and this mango juice is just one of them. What a delightful, refreshing and nourishing juice this is…made with all-natural products and nothing more. Believe me when I say that this mango juice doesn’t require the addition of refined sugars. Now, how cool is that? I substitute a fraction of the water with freshly squeezed orange juice and voilà… a healthier mango juice is born. The problem with store-bought juices is that they go through the pasteurization process which destroys the vitamins naturally available in the fruits. Also, they have loads of refined sugars which are the cause of many diseases. For these reasons, we cut down the consumption of store-bought fruit juices in my household. Now back to the mango juice recipe itself. 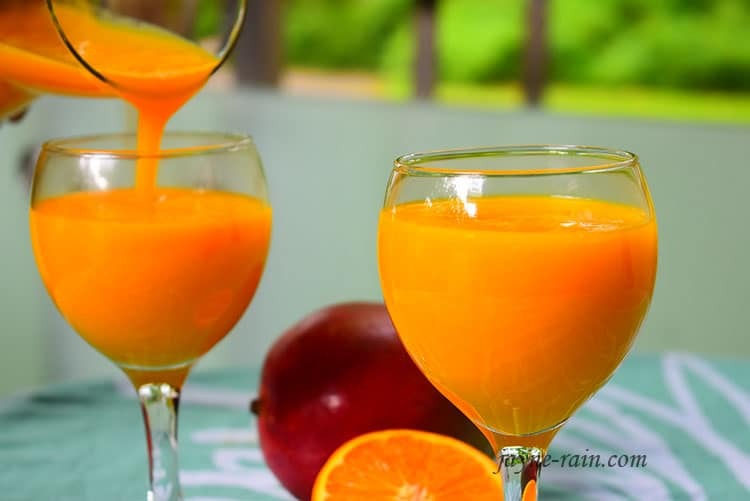 This mango juice requires only five ingredients and takes less than ten minutes to prepare. 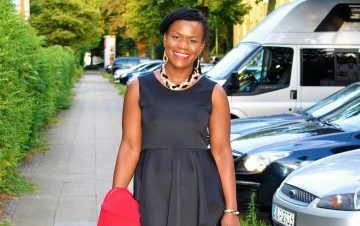 I use ripe mangoes, freshly squeezed orange and lemon juice and water as a base for this mango juice recipe but depending on my mood, I might add cinnamon or ginger to give it a different kind of touch. I like adding cinnamon to my sweet drink because it regulates blood sugar levels due to its anti-diabetic effect. Moving forward, you should make sure that your mangoes are ripe if you want a sweet and creamy mango juice. You will know your mangoes are ripe enough if they feel a little soft when pressed and smell fruity. Now let’s dive into how I make the mango juice. I start by peeling my mangoes with a potato peeler or a knife. I then separate the mango flesh from the seed, and I end up with about 5 cups of mango flesh. Using a lemon squeezer, I juice my oranges and lemon, which yield about 500 ml of juice. Lastly, I add water, orange and lemon juices, cinnamon and the mango flesh in a blender and blend. This mango juice stores in the fridge for up to 4 days, but it’s so good it won’t need to last that long. There are a million and one ways of enjoying mangoes, and this mango juice is just one of them. What a delightful, refreshing, nourishing juice this is…made with all natural products and nothing more. Believe me when I say that this mango juice doesn’t require the addition of refined sugars. Peel all your mangoes using a knife or a potato peeler. Squeeze your oranges and lemon using a lemon squeezer. Finally, add the water, orange and lemon juice, mango flesh and cinnamon in a blender and blend until smooth. Serve your mango juice and enjoy. If you are using fibrous mangoes, you might want to pass the juice one time through a sieve or a cheesecloth. You can also adjust the water measurements to achieve your desired consistency. 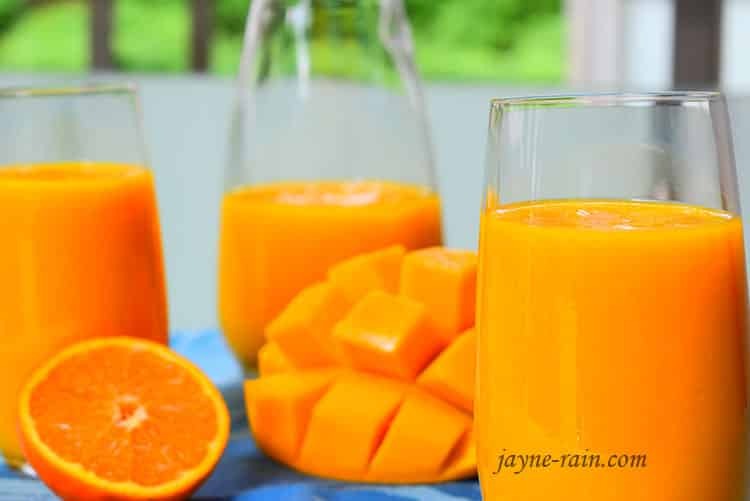 What do you think about this Mango Juice recipe? Have you tried it out? Meet me in the comment section below and share your thoughts because I would love to hear from you. If you love this recipe, you might also like my Banana Cinnamon Green Smoothie. This is my kind of juice. Thanks so much for sharing. It’s my kind of juice too. Thank you, Yvette.